Hello there! 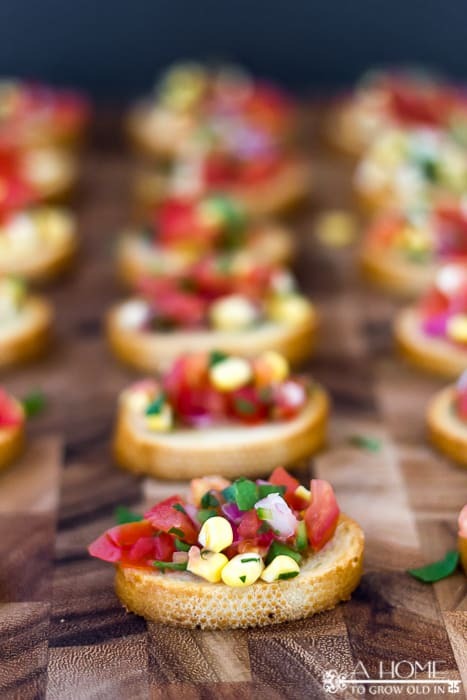 Have you started your summer entertaining? 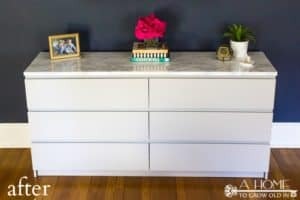 Since finishing up the One Room Challenge we have been focusing on fixing up the outdoor areas of our home. Our patio overlooks a wooded backyard with a small brook that runs through it, and it is one of the things I fell in love with most when I was first looking at our home (I hope to have an outdoor home tour up for you soon). I’m sure you can imagine, we do a lot of outdoor entertaining. 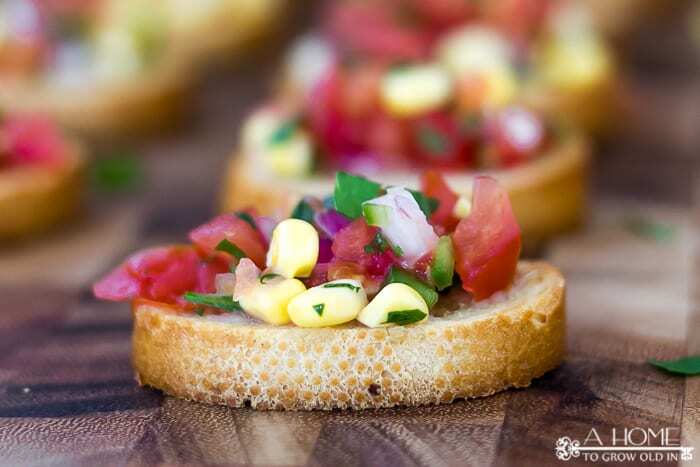 One of my favorite things to make during the summer is my Mexican bruschetta recipe. 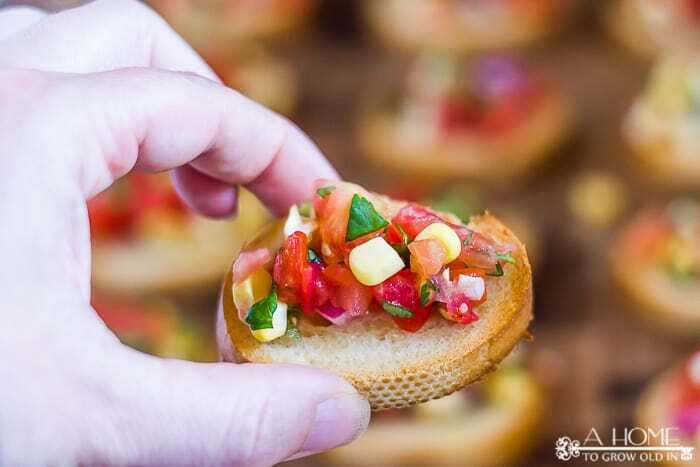 Okay, I know that bruschetta is Italian, but salsa is made up of several of the same ingredients, and this is basically a chunky salsa. 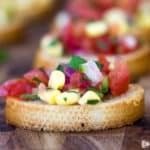 This Mexican-inspired version uses cilantro instead of basil, plus some jalapeno and corn, but it also tastes amazing served on top of some crostini just like it’s Italian cousin. I especially love making it over the summer because the corn is so sweet. This recipe is so easy! 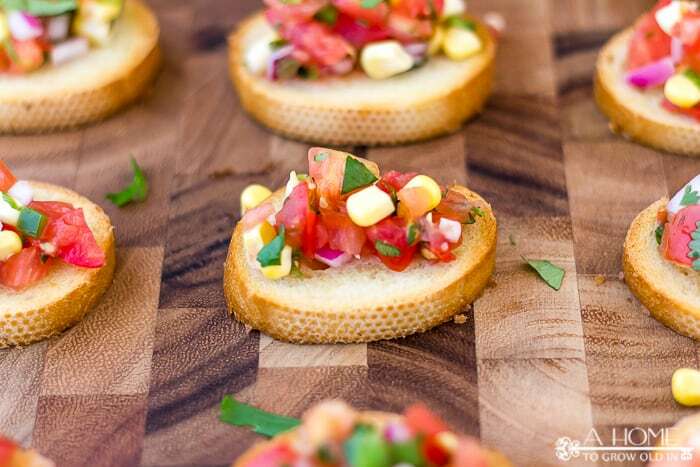 There’s no cooking involved, other than toasting the crostini (or you could just buy them already toasted from the store), just chopping up some veggies. Who can resist these pretty colors? They’re always gone within minutes after I set them out at a party! 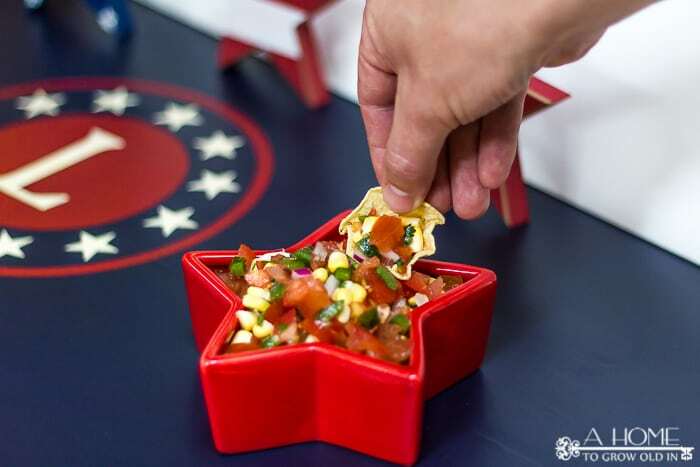 We also love to serve it as a chunky salsa in a bowl with some chips! Either way is perfect for your Memorial Day or 4th of July get-togethers or any of your summer barbecues. 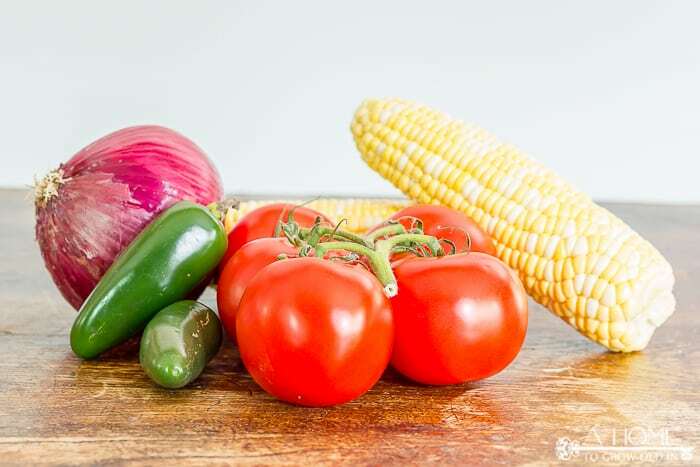 One of the things that make it perfect for entertaining is that it’s really nice to have something light and fresh to go along with the heavy food of your typical barbecue. 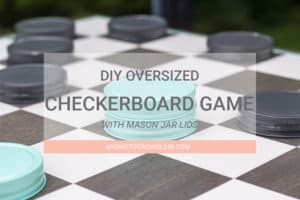 I’m so excited for you to try this, and I hope you like it as much as I do! I can’t stop eating it whenever I make it! Brush olive oil on the tops of French bread slices. Bake bread slices at 400 degrees F for 10 minutes. Remove from oven and allow to cool off. Combine all remaining ingredients in a medium bowl. Refrigerate for at least 4 hours. 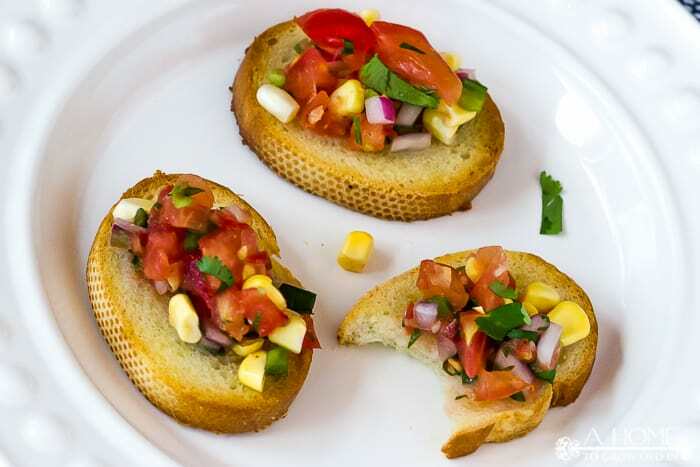 Spoon the bruschetta mixture onto the French bread slices or crostini. Taste a small bit of jalapeño to see how spicy it is before deciding how much to use. Frozen corn also works well with this recipe. Are you looking for a place to store all these great recipes you find on the internet? 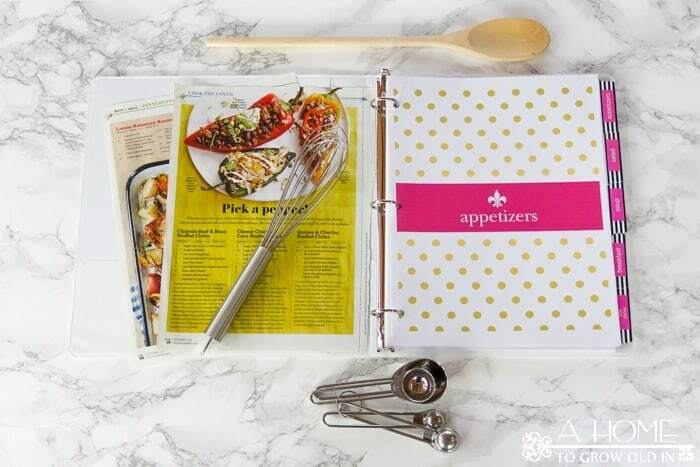 Check out my recipe binder post to see how I set it up my recipe binder, and how I lost one of my most beloved recipes when the blog I found it on went down. 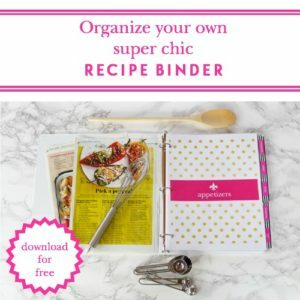 My recipe binder is part of my exclusive printables library that is only available to email subscribers. 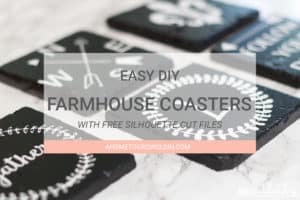 It has so many great printables for all over your home, including gift tags, pantry and spice labels, and so much more. Plus, you’ll stay up to date with everything going on at A Home to Grow Old In. 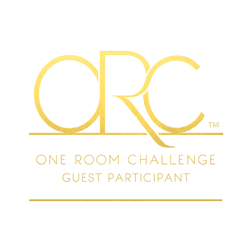 You can sign up here! This looks super tasty! I will have to try it this summer! Thanks, Mary! You’re going to love it! These look delicious! I can see why they disappear quickly. This looks like a great way to sneak in some veggies before a meal even starts! These look like the perfect refreshing little bite! I have a feeling stopping at just one is impossible.